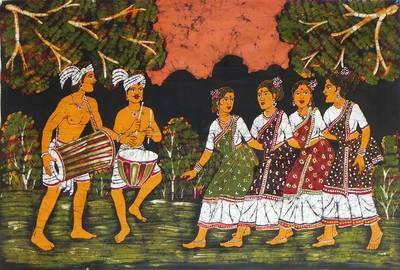 Folk Music of BENGAL & India. of 'Nabani Das Khyapa Baul' the Only Baul who initiated Tagore into Baul. When UNESCO made this declaration they did not talk to any real Bauls, they gave some '9 million Dollars' to a Bangladeshi UN official who obviously thought this was a good way to line his pockets and disappear he made up stories about Baul being from Persia and Bangladesh, he completely fabricated his story, now we have others changing the narrative saying that Baul originates from Buddhism, Turkey, Uzbekistan, this is very disturbing and this is a sign of the times of Kali Yuga, 'what is real is seen as unreal and what is unreal is seen as real? Baul is only an 'Oral Sanskrit' tradition, the Poems were then converted to Bengali and sang in vernacular 'Birbhum Bengali' so the villagers so they could understand. The Bauls poems are important, who wrote them is important and to take advantage and claim them as your own, to put other poets names on poems that can and are already preserved is ignorant and typical of someone who is using Baul for their own personal advantage, confusing, watering down and reducing this lineage. The whole purpose of Baul and the Vedas is to dispel darkness and ignorance, this perpetuates ignorance and with the extinction of Baul, this mentality puts the final destruction of a tradition that does not belong to the people who are spreading ignorance. The names of the poets are important, Baul has always passed poems down from one generation to the next, Baul is fluid please do not make them ignorant. Baul is Extinct, Baul History and Her-story were complete decades ago, however, there are some great Baul singers keeping the flame of Baul alive and Babu Kishan always supports and encourages great singers with talent Baul and Folk, he has a huge record of doing this over 45 years, he is always ready to help and support talent . Many people are saying they are singing Baul but they are singing Folk Songs which are not Baul, this waters down the tradition and deconstructs Baul. Baul has been preserved and archived decades ago by 'Babu Kishan' and his family long ago. There is no Baul to be archived, it has been done already. What Baul needs are English accurate translators from Bengali who know the Essence to English. What people are doing today is a cultural appropriation of Baul. There is only One lineage of Baul the 'Das Baul and Dasi Lineage and that is this lineage. All Bauls follow this lineage from 'Ekachakra Birbhum W Bengal INDIA. They sing the songs of this lineage, they dress like this lineage, they go where they go and follow them now around the world to the exact same places. The official Largest ever 'Baul ARCHIVE' and PRESERVATION of Baul was complete decades ago, and it HAS ALREADY BEEN PRESERVED by Nabani Das Bauls Grandson BABU KISHAN as per Nabani and Brajabala wishes when Babu was very young. He has worked with a dogged determination and with a strong intent to do as his Baul Guru's from Birth have directed him. At the same time that he did this archive, because of his love of Music and his musical Genius he has done the same for Folk Music. Babu Kishan was one of the leading authorities in the 1980, 90 who worked for all the top Music Companies in Bombay categorizing Indian Folk Music. 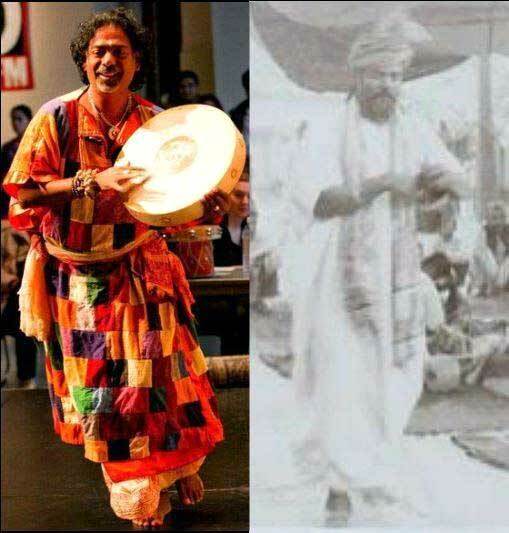 Babu Kishan's life journey was to Archive and Preserve Baul, this was a mission that was given to him at a very young age by Nabani Das Baul and Brajabala Dasi. Get ready here comes Babu Kishan with his 4th book on his ONE and ONLY LINEAGE O Baul and it is a tell all, right down to the nitty gritty to be released in 2018/early 2019. Kshitimohan Sen Shastri 1880 –1960 was a Bengali scholar, writer and a Sanskrit professor. He was an acting Upacharya of Visva-Bharti University in Shantiniketan Birbhum from (1953–1954). He is the maternal grandfather of Dr. Amaryta Sen. Kshitimohan said, Nabani Das Khyapa Baul was the last authentic Baul on earth he was inspired and a beloved friend of Nabani Das Baul's. Kshitimohan appreciated Nabani's Mastery of Sanskrit and his pure mystical genius. There were many well known great friends of Nabani Das Khyapa Baul but these 2 Kshitimohan Sen Shastri, , and the great Santal Sculpture Ram Kinkar Baij were often found around him. Below is a rare recording of Nabani Das Khyapa Baul (1890-1969) singing a Baul song. When the Roots of Baul and Folk Music are cut the tree of these will die! 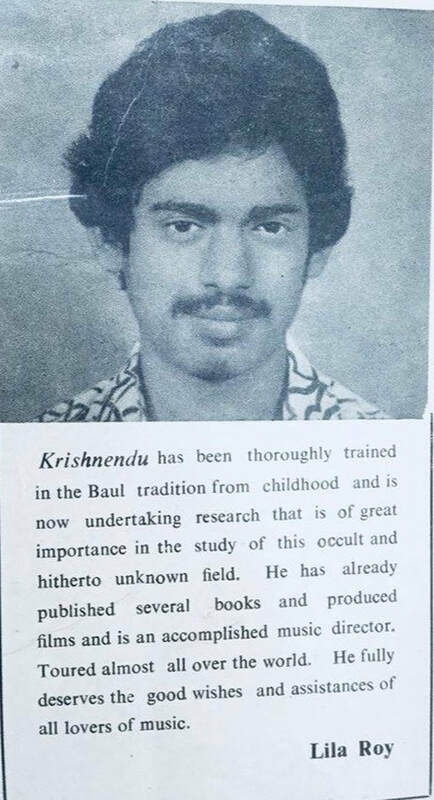 Babu Kishan is the first and only authentic Baul educated at the University level to lecture and teach the History of Baul to the Universities around the world starting back in the 1970's and to connect Baul to travel through ICCR. He is the first Baul to take Baul Music from Hindustan Records to the World famous music label EMI and HMV and other record companies. He is the first Baul to compose Baul Fusion Music. A rare Baul as he probably one of the last still alive from the oral Sanskrit tradition of Vaishnava Baul. ​Babu Kishan is a complete University regarding all Folk Music of Indian, with a specialty in Bengali Folk music and Culture, and his own Living Lineage of Vaishnava Baul, Classical Music and Indian Spirituality. 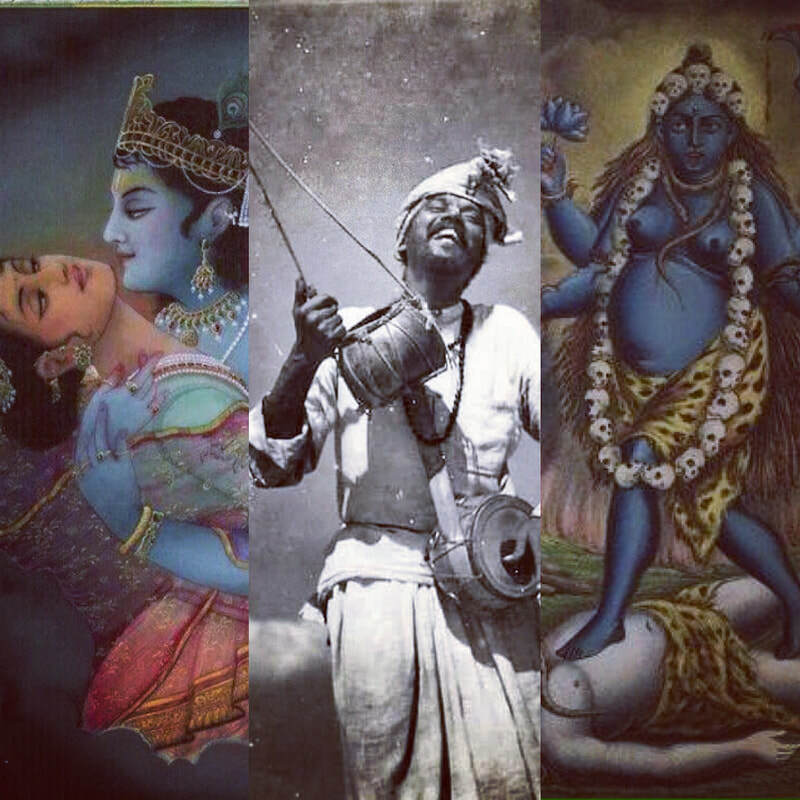 Nabani gifted Babu with the power of siddhi in storytelling, poetry, Tantra Vidya, Bhakti Vidya, Vaishnava Baul Kirtan from the original roots of these practices. Not from a reinterpreted western approach or new Baul singers who have cut the songs into pieces without doing sadhana or knowing who wrote the Baul songs, this has cut the roots off and without roots the tree is dying. Most of the famous Baul songs recorded and sung today are Babu Kishan's compositions his poetry, his grandfathers poetry, his lineages poetry. ​There is only one Line or Lineage of Baul. (ICCR "Indian Council of Cultural Relations"). ​Babu Kishan has written 3 book on Baul, now out of print. A New Book on The history of Baul, about his one and only lineage of Baul, coming in 2017. Soon to be released, there are so many inaccuracies, watering down and cultural appropriations about Baul, it is time for the full and final history. Baul is extinct and the songs from his family, his lineage are Culturally Appropriated. 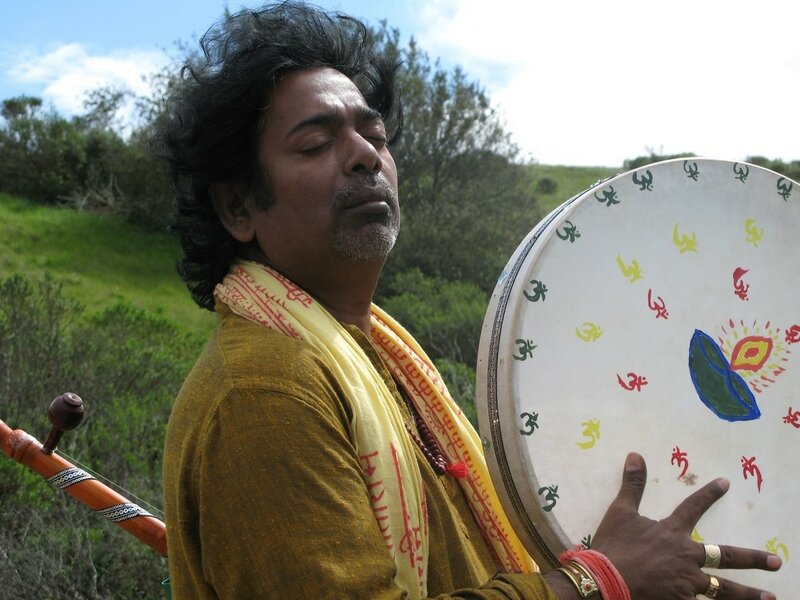 Krishnendu Das Baul aka Babu Kishan is an expert in the 'Folk Music of Bengal and India'. He was a Music consultant during the 1980 and 1990's for CBS India and Manager A&R, specifically hired to categorize all of India's Folk and Classical Music because of his expertise. RELEASED 500 ALBUMS SUCCESSFULLY "PRIVATE AND INDIAN CINEMA"
RELEASED 300 Film ALL TOP LABELS AND FILM LABELS IN INDIA. 200 or more of his poetry (lyrics) have produced super duper hit songs. ● He has Produced many successful TV series, documentaries for Indian National and other TV Stations. Senior Management in Indian Cinema, Music Consultant, Major Bollywood Event Film and Music Release Event Planner. Lifetime friends with Senior Journalist of all Major News Sources and Connected Politically from a young age. ​Babu Kishan aka Krishnendu Das has been a Cultural Representative of India for 45 years appointed by the Government of India, traveling through India and Worldwide for the Indian Government as a representative of Indian Culture AND MUSIC since 1970 through ​Sangeet Natak Akademi ​"Indian National Academy of Music Dance and Drama" & ICCR "Indian Council of Cultural Relations"
Krishnendu Das Baul aka Babu Kishan is an expert in the 'Folk Music of Bengal and India'. He was a Music consultant from the 1980's to 2000's for CBS India and other Music Companies and he was an Manager A&R, specifically hired to categorize all of India's Folk and Classical Music because of his expertise. Babu Kishan is a Master of Indian Folk and Indian Classical as a Music Composer and Master of Indian Music. ​Babu Kishan has profitably successful marketed and sold 300 Films and 500 Albums. Composed, Produced, Sold and Marketed at least 60 of his own albums. He is an expert at Creating Film from the start to the selling it successfully. He is a Master Music Composer Producer from beginning to end sales and has been successful in the business of Film and Music for over 40 years. 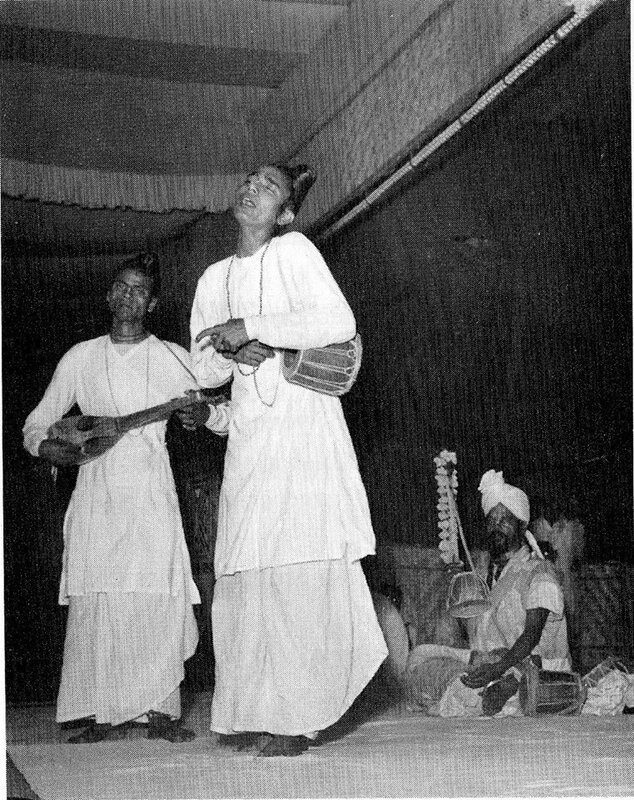 The Vaishnava Bauls are known as the wandering rural Bengali street singers. Babu Kishan and his pioneering family brought Baul out of the villages of Bengal to India and the world. Babu Kishan was born in Suri Bengal a village, into an ancient Lineage of Folk and Mystical Music. He was awarded the Youngest Music Composer of Bengal during the 1970's. He is a multi instrumentalist playing 15 instruments. FOLK MUSIC IS ON THE BRINK OF EXTINCTION, IT IS BEING DESTROYED OR WATERED DOWN AND CULTURALLY APPROPRIATED BY THOSE WHO HAVE NO KNOWLEDGE OF THESE TRADITIONS. THINGS CHANGE BUT IF WE DO NOT PRESERVE OUR CULTURAL HERITAGE AND LET IT DIE OR GET INTO THE HANDS OF OTHERS WHO CULTURAL APPROPRIATE, THOSE WHO MAKE UP STORIES AND CHANGE FOLK MUSIC TO SUIT THEIR AGENDA, IT WILL BE GONE FOREVER. IT IS BEING CULTURALLY APPROPRIATED BY THOSE WHO EITHER IGNORE OR DO NOT KNOW THE HISTORY OR WHO THE POETS ARE. he has dedicated his whole life since he was a child to Indian Folk Music. 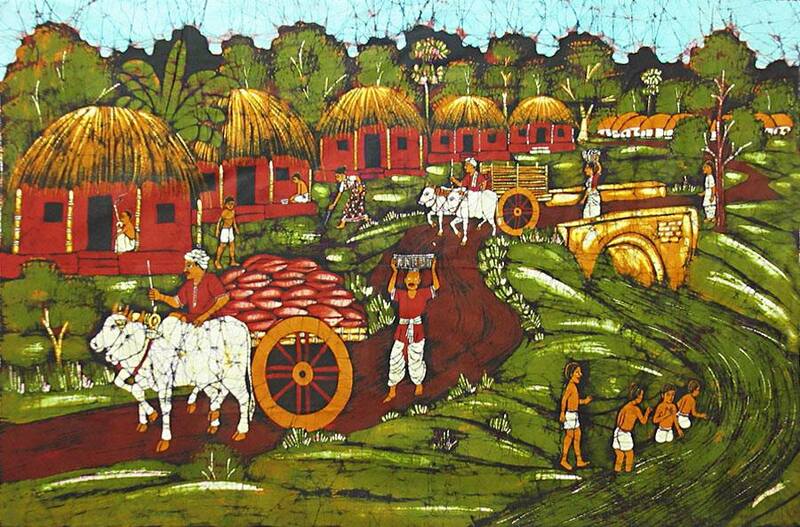 Babu Kishan has been a Cultural Representative of India for 40 years. ​someone who has spent their whole life with Folk Music. 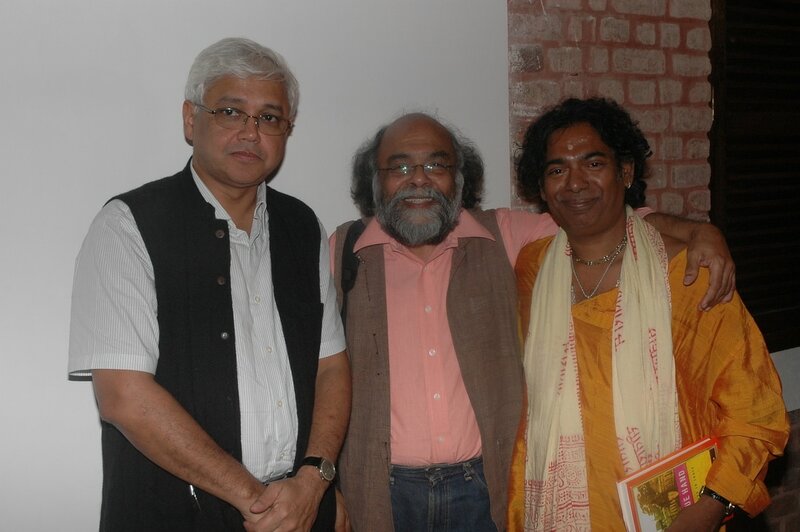 Friends of Babu Kishan's, Amitav Ghosh (Famous Author), Prabodh Parik (Famous Gurjarati Poet) with Babu Kishan aka Krishnendu Das (Music Composer, Filmmaker, Poet, Baul). Babu Kishan has created more than 60 albums in: HINDI, BENGALI, SANSKRIT Oral and Classical, BHOJPURI, PUNJABI, GUJURATI, RAJASTANI & ENGLISH: with reputed music labels as, Universal Music, EMI, Polygram Music, CBS, Star Music, Sony, HMV,T-Series, and TIPS music and film labels, he has composed for feature film music and background music, private albums, Documentary films. ​He has composed music for more than 150 musical film scores. ​He has released over a thousand albums for others. ​He toured with Bob Dylan’s & The Band in their 1985 East and West tour. He has performed and recorded with music industry greats such as George Harrison, Rolling Stones, Beach Boys, Chakka Khan, Ravi Shankar, Zakir Hussain, Tom Petty, Miles Davis, Allan Fakir, Herbie Mann, Third World, Bob Dylan's the Band Robbie Robertson, Levon Helm, Garth Hudson, Ziggy Marley, R.D.Burman, and many others independently. R.D Burman was Babu's Bollywood Guru and friend for more than 13 years. Babu's Grandfather Nabani Das Baul. ​Babu Kishan is rare, he has been to the top and has witnessed India through 5 decades though the eyes of all the top in Indian Music and Film he has met them, worked with them traveled with them. Politicians, singers, actors, and he was state singers for Indira Gandhi, Sanjiv Gandhi and Rajiv Gandhi as part of the family personally traveling all over India. His Grandfather Nabani Das Khyappa Baul was Baul Guru dance teacher to Indira Gandhi and state artist singer for Nehru during the Indian Independence movement. He has done hundreds and hundreds of travels throughout India performing. Babukishan has been a cultural ambassador of India for 40 years traveling worldwide recognized through the Government of India's Sangeet Natak Academi "Indian National Academy of Music Dance and Drama" and ICCR "Indian Council of Cultural Relations"
​He has performed at The Royal Albert Hall in London to the Carnegie Hall and all Big Stadiums in India in front of millions of people. Some Past Lectures and Baul Performances @ Universities around the world. Montreal Pop Music Festival, and many, many more dating back to 1972,1974,1975 as his family along with Ravi Shankar and others were the Indian Musicians who performed as part of the fundraiser for Bangladesh created and hosted by the Rolling Stones, Beatles ect.. This is when he first met the Mick Jagger. 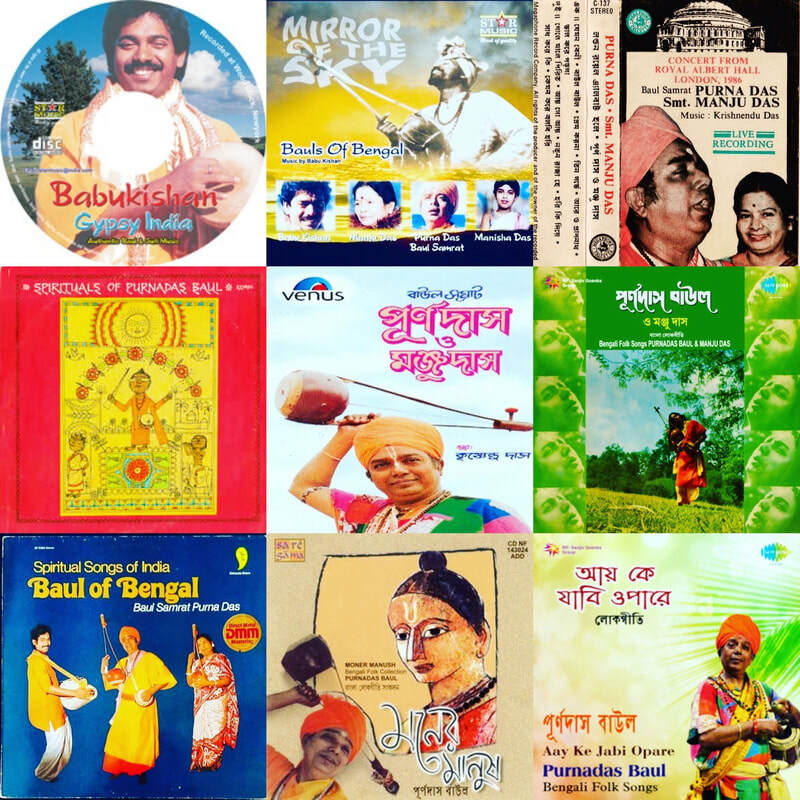 Babu Kishan Composed all the below Music, Produced, Recorded and Promoted all of these albums and more, he dedicated himself to Baul for decades. He used much of his own Baul poetry on these Albums, and they all have been a super duper hit. He worked with a determination like no other Archiving and Preserved Baul from the 1970's. Baul was Archived and Preserved decades ago, there is no need to remake the wheel, it has been done. All safe and when and after all this circus of Baul is over Babu Kishan will release all to the world. As a taste of the already archived Baul history, Babu Kishan's 4th Book on the Das and Dasi Lineage of Baul, Historical Baul will be released in late 2018 or 2019, as only a taste of what is to come, after this the Authentic One and Only Baul Archive. After the book release the Archived Baul history will be further released with much caution and copyright. Babu feels after what he has seen being done with his families music and heritage and past cultural appropriation of the songs of this lineage, it is past time to step out of the shadow and it is time to speak out. These songs are now going to be preserved with the correct poets names and if you want to record, if the correct poets name is not used there will be a copyright infringement made. Sad to say but a true Baul does not use Baul for their own benefit making claims that are not true. Nobody wants to do this but because of the lack of respect this will be the future of Baul because it must be at least accurate. We are in the process of looking at legal action regarding Nabani Das Baul Poetry and this lineages poetry if Baul were not extinct it would not matter. Please Stay tuned. 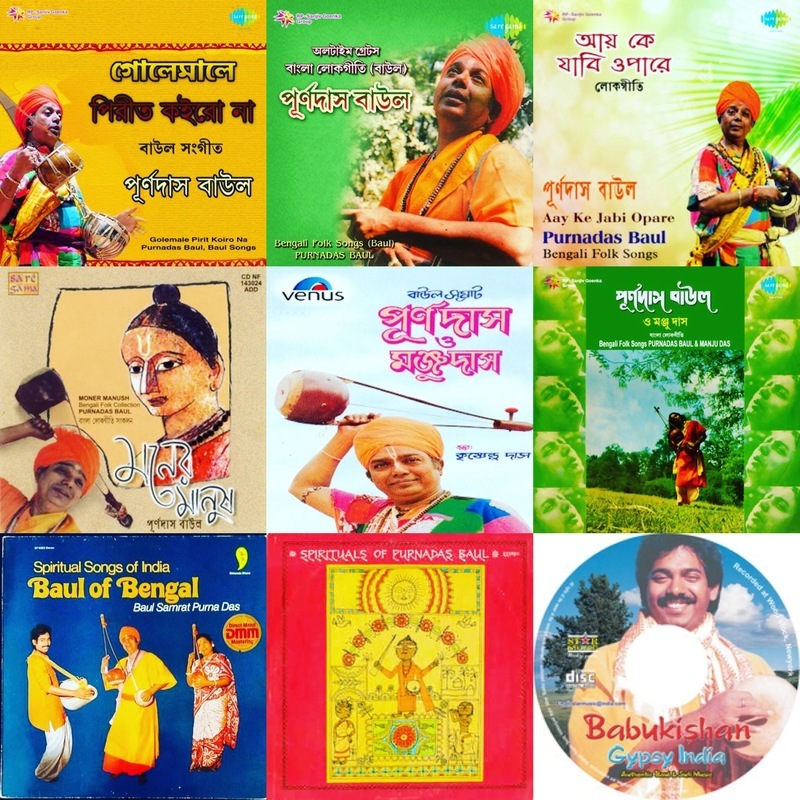 Babu Kishan Composed all the above and below Music he Produced, Recorded and Promoted all of these albums and more, he dedicated himself to Baul for decades. He used many of his own Baul poetry on these Albums, and they all have been a super duper hit. He worked with a determination like no other Archiving and Preserved Baul from the 1970's. Baul was Archived and Preserved decades ago, there is no need to remake the wheel, it has been done. All safe and when and after all this circus of Baul is over Babu Kishan will release all to the world. Lila Roy Rabindranath Tagores personal English Translator and the Editor of my first English Book on Baul. Remember Lila Roy, Rabindranath Tagore's English Translator and my English Editor of the English book I wrote on My Lineage, which was supported and sponsored by my great friends and well wishers George Harrison and Ravi Shankar. I had performed many times with Ravi Shankar, Ali Akbar Khan through Indian, Europe and America. Ravi Shankar and his family were our family friends. I have recored music with both George Harrison and Ravi Shankar. Lila Roy was the only Western person who was a real Master of Bengali and understood the Soul and Soil of Bengal, she was a Legend and I do not want the world to forget her. 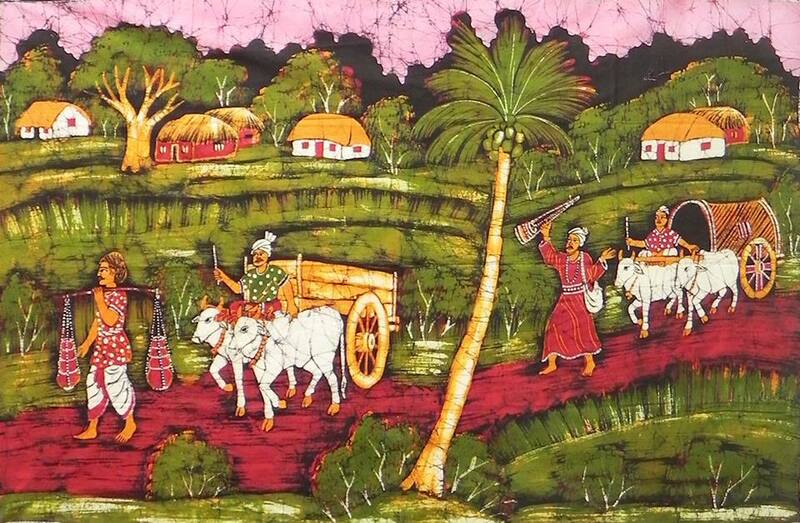 Babu Kishan designed the patchwork (Guduri) dress that now most Bauls wear today for performances, this is 'Baul History' if you wear or wore this dress or your GURU wore this dress, you follow this lineage. If you sing the songs of this lineage you follow this lineage, if you dress as the women Baul from the film Tagori, Babu Kishan designed that style and dress too, it is the film about his aunt Radharani Dasi. If you use Ektara Baya and Nagpur around your feet you are following Nabani Das Khyapa Baul (Period). If you call yourself Das Baul or Dasi you are definitely following this lineage. ​If you go where this lineage goes, logic you are following everything this lineage does but the sad part again is you are cutting the history of Baul off and replacing it with your own name? Everyone is to be encouraged but when untruth comes into the picture there is a limit. This is disrespectful and a huge Cultural Mis-Appropriation. Vaishnava Baul is an oral Sanskrit tradition, the stories are recorded in the songs. The whole Bhagavad Gita is one song, then there is house of oral storytelling and teaching about he Bhagavad Gita. Baul starts with Radha and Krishna 5000 years ago. Babu is the eldest son of Purna Das Baul and the late Manju Dasi. He was raised by Sri Nabani Das Khyapa Baul and Brajabala Dasi in Siri Birbhum until age 8, then moved to Calcutta and spent 12 years at the Ramakrishna Mission. ​Brajabala Dasi and Radharani Dasi were Baul Women Guru's who taught all the women. The people who are fundraising to preserve Baul do not mention and deleted their names , this is Cultural Appropriation. 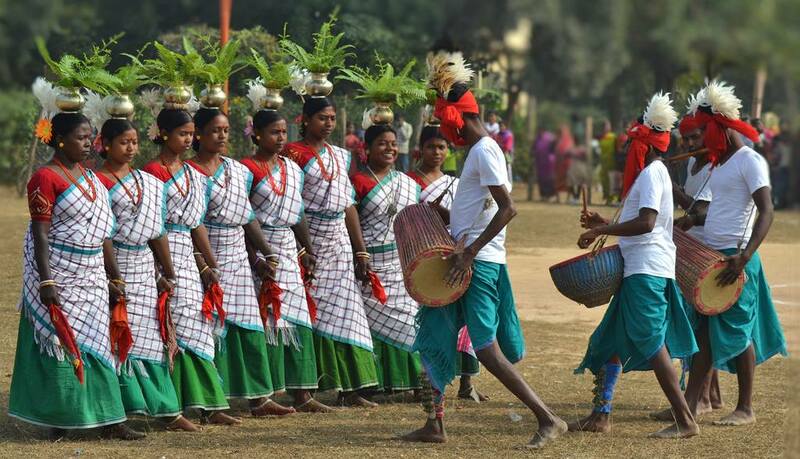 Folk Music of India and Bengal must be preserved by someone who understands Folk Music and Baul. For an example: Baul is being Culturally Appropriated by outsiders who are using Baul as a way to survive and try to gain fame. They take the names off the stories of this family. They make up lineages and are singing the songs all wrong, slowly watering down and reducing what Baul is. They make it up as they go to suit their needs at any given time. There are other Folk traditions without a voice. We must support this silent voice. The true authentic hidden away in the cracks that have the true stories. It is too easy for others to lay claim to what can Never be owned and say well you did not copy right your songs. It is too easy to make excuses for the ones who have held, and preserved their folk traditions only to see them watered down and reduced. Cultural Appropriation is a real issue and needs to be acknowledged.​ The stories of the soul and soil of the land need to be respected. ​There is a mail link at the bottom of the page. Books, Lectures, Workshops, Live Performances.